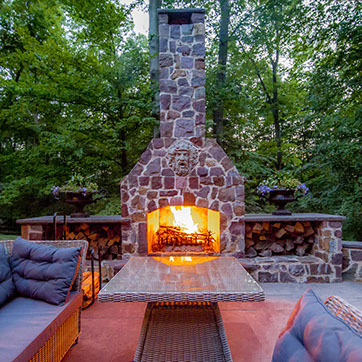 This New Hope, PA Outdoor fireplace and patio creates an outdoor living room like space. 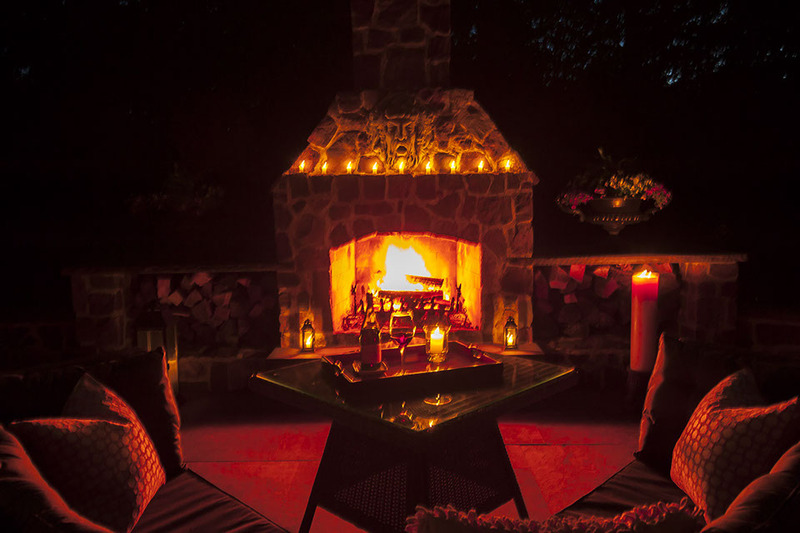 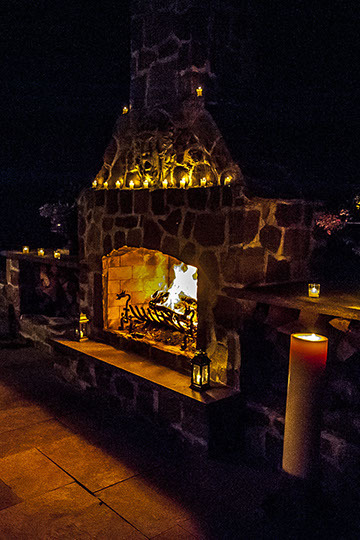 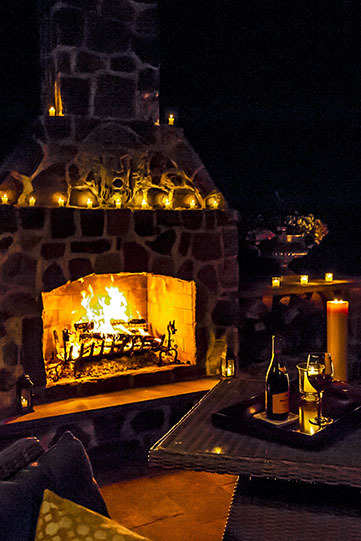 There is nothing like an outdoor fireplace to gather around with friends and family. 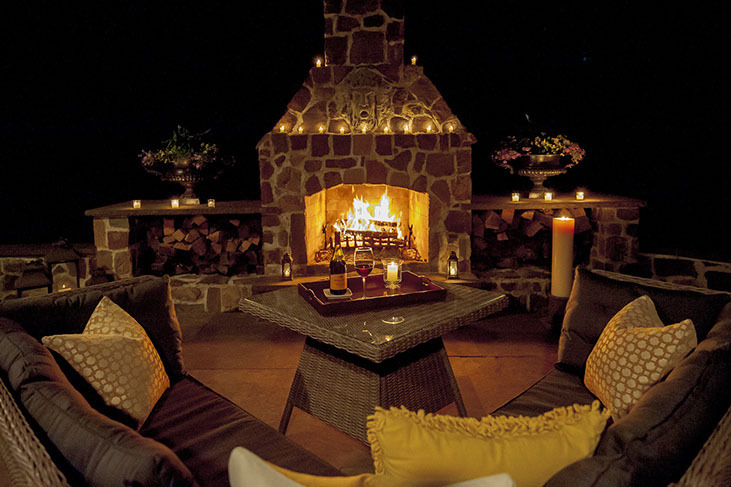 This patio features imported brownstone. 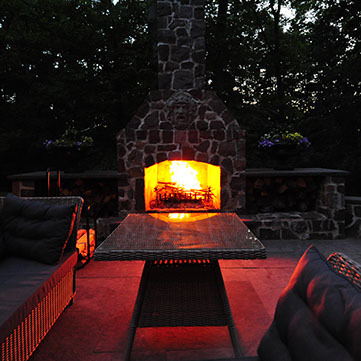 The fireplace has a face built into it to add character. There are two large built in log storage areas which also function as large counter tops to set stuff down on that you bring outside. 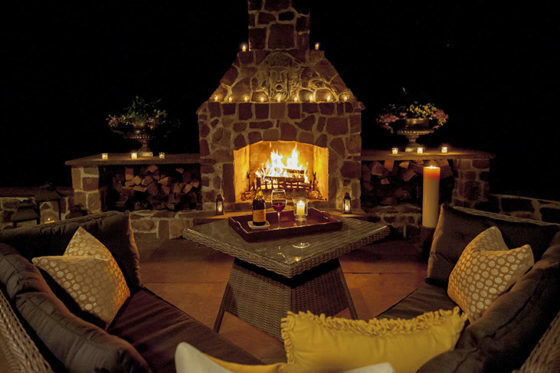 With just the addition of a couple of outdoor furniture pieces, this space turns into an outdoor living room.